Anticipation has been building around the Accelerated Access Review (AAR) and what it can do for the UK pharma industry, the health service and patients – but nobody should expect a panacea for all the problems around access to new medicines. Nevertheless, it offers a slim hope of that precious, elusive thing: a change in NHS culture. Andrew McConaghie reports. But can it really achieve this goal? While an important market for the pharma industry, the UK’s uptake of new medicines (and other medical innovations) has for decades been ‘low and slow’, (to borrow a now well-worn expression of the ABPI), compared to similar European nations. A cynic might point out that, never mind acceleration, the AAR itself hasn’t been delivered on time – first scheduled for publication by the end of 2015, it has been repeatedly delayed. It must now wait until after the EU referendum is held on 23 June before it is published. An interim report was, however, published in October last year, and set out five general propositions: putting the patient centre stage, getting ahead of the curve, supporting all innovators, galvanising the NHS, and delivering change. Sir Hugh Taylor (pictured) is the chair of the report, and very much in charge of its final shape. Sir Hugh is not only the chair of Guy’s and St. Thomas’ hospital in London – one of the country’s leading academic hospitals – but also the former permanent secretary (ie head of the civil service) at the Department of Health. This means he is particularly well placed to understand the challenges facing the NHS at a local level, but also the best way to stimulate change in the health service from a national level. While it’s not officially launched, Sir Hugh has, in recent weeks, been talking about the report ahead of publication, giving a clear outline of its final recommendations. At its core is the idea of a managed access pathway, reserved for those medicines, medical devices and digital technologies which could really make a big difference to patients. “We need a planned end-to-end introduction for a small number of genuinely transformational drugs” Sir Hugh told the MHRA/BIA joint conference in early May. Sir Hugh has gone as far as to say that 5-10 new innovative technologies will be identified as the most promising innovations and prioritised for rapid uptake under the plan. This sounds like a refreshing change – rather than groundbreaking new treatments begrudgingly accepted by the NHS after the rest of Europe, the UK could actively accelerate uptake of these chosen ‘transformational’ drugs. Without further details, this plan generates more questions. Perhaps the most pertinent is whether the AAR will find new money for these drugs, or whether funding will simply be diverted from other drugs. Here are some key talking points and themes which emerged during two recent meetings – the ABPI annual conference, and the BIA/MHRA joint meeting. The good news is that there is a genuine belief in the government and the upper echelons of the NHS that new and innovative medicines from the pharma industry, and new diagnostics, medical devices and digital technologies can dramatically improve patient care. 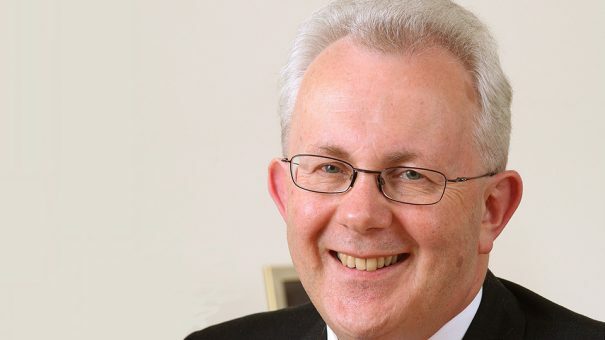 Sir Hugh Taylor told the ABPI conference that the AAR’S consultation found virtually all stakeholders in ‘violent agreement’ that change is needed to make it easier for valuable new innovations to reach patients faster and be used more widely on the NHS. This striking consensus extends to the belief that new, more flexible approaches to pricing and reimbursement need to be introduced. One parallel development is the new Cancer Drugs Fund, which will also act as a managed access fund. This will be for cancer drugs which show great early promise but have insufficient data to prove cost effectiveness. These new approaches show the UK government is willing to experiment. However two major pillars of the system – the existing PPRS pricing system and NICE’s existing methodology – are outside the scope of the Review. No discussion about the NHS can ignore the fact that it is in deep financial trouble, and this will inevitably be the greatest brake on any attempts to fund new innovation. In May, NHS hospitals in England revealed a record £2.45 billion deficit. As the independent health think tank the King’s Fund points out, this is not a result of financial mismanagement, but caused by Chancellor George Osborne’s ongoing austerity measures which means NHS funding is at an historic 55-year low. Speaking very candidly to the ABPI conference, Sir Hugh said his own trust was managing to keep its head above water, but that others – such as Cambridge’s Addenbrooke’s and Bart’s in London – were getting deeper into debt. The problem of overspend is now expected to spread to Clinical Commissioning Groups (CCGs). Against this background, will NHS England permit overall spending on new drugs to rise? It seems very unlikely. This might mean then that extra funding will go to 5-10 treatments identified as ‘transformational’ but will mean other products will lose out. The acid test for this proposed system would be the new hepatitis C drugs, and how they might have been introduced under the AAR. Proven to provide a cure for most patients for the first time ever, these drugs have been given resounding cost-effectiveness endorsements from NICE. And yet they have also been found unaffordable – their huge upfront cost has presented a huge problem for all healthcare systems, not just the NHS. However, once again, the NHS is behind the curve in Europe in terms of adoption. NHS England is using a number of tactics to limit their use and squeeze further discounts from manufacturers. This is part of its remit for controlling specialist drugs costs, the category into which most new drugs currently fall. NHS England would perhaps not limit uptake of these chosen 5-10 transformational products, but their gain might well be a loss for other products elsewhere in the system. A key proposal is the creation of a National Innovation Partnership (NIP), a proposed and entirely new standalone body which would champion the uptake of innovation across the NHS. The NIP is likely to include representatives from the Department of Health, the NIHR, the MHRA, NICE, NHS Improvement, NHS England, plus inputs from patients, charities, and industry. The involvement of patients and charities in this group would help realise one of the main goals of the review, which is to put patients ‘centre stage’. The NIP would be supported by local Innovation Exchanges run by the existing regional Academic Health Science Networks. However the setting up of the NIP is understood to be one of the more contentious elements of the provisional plan. This isn’t surprising as NHS England wants to keep tight control over decision-making, and won’t want to be bound by those taken by this proposed multi-stakeholder group. The AAR is the brainchild of Life Sciences minister George Freeman and, as such, emerged from his joint portfolio at the Department for Business, Innovation and Skills and the Department of Health. NHS England already has its own masterplan, the Five Year Forward View (FYFV), launched in October 2014, which is aimed at creating a stable and sustainable NHS based on new models of care and more efficient working practices. However, as the record deficits in hospitals attest, NHS England is already struggling to cope with its meagre funding. Its own newly-launched ‘transformational’ project – the Vanguard sites which integrate primary, secondary and community care – are under huge pressure to prove themselves. Against this background, adding another strategic framework will be hugely challenging. Sir Hugh says there is a great deal of support for creating new incentives for hospital trusts around accelerating access to these prioritised technologies – but is himself mindful of simply adding another topline target for already overstretched hospitals. Nevertheless, Sir Hugh says the NHS needs to be a more friendly environment for innovators, and believes this can be ‘win-win-win’ for industry, the NHS and patients. He told pharmaphorum that NHS England gives very little scrutiny to specialist care spending by acute trusts, and more detailed discussions about how to improve spending would reap benefits. He rejects the long-standing notion that the UK’s doctors are clinically conservative, and says that instead the system needs to be challenged – something that can only be done through proper change management. Even with all the delay, scepticism and limitations, the AAR looks like the best opportunity to change the UK environment. As always, though, the devil will be in the details of the plan, which will finally be unveiled in July. The proposals, if implemented, are very unlikely to mean a rapid improvement in uptake of new medicines – indeed the ongoing NHS funding squeeze may worsen matters. But if the AAR can bring about a clear shift in the culture of the NHS towards being more innovation-friendly, it won’t have been a wasted opportunity.